In July 2014, her flash fiction piece, Walls, won second place in the 2nd Annual Faith Radio Writers Contest. Walls was also published in Splickety Prime, released on September 19, 2014. Read it here. In June 2015, her nonfiction piece, Charlie, was a winner in the 3rd Annual Faith Radio Writers Contest. Read it here. She’s a writer for streets.mn, hoping to show that loving your neighbor is what it’s all about. Finished was published in The Lutheran Ambassador (Vol. 55, no. 4) in April 2017. Read it here. 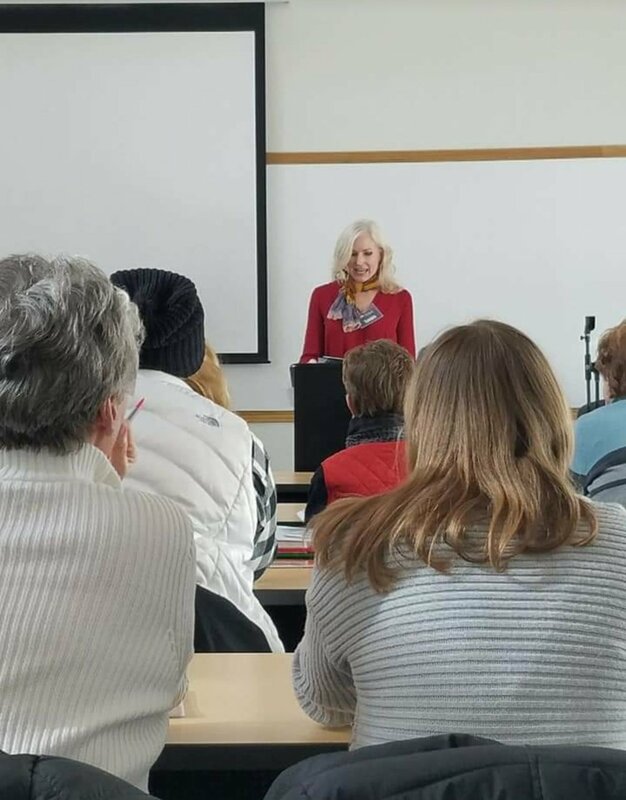 She spoke at the Set Apart women's conference at the University of Northwestern on March 9 & 10, 2018. At the University of Northwestern's writers conference on July 14, 2018, she was awarded Bethany House Publisher's Aspiring Author Award for her piece, Sounds. Read it here.